Rapid regeneration of city areas has placed the quality of urban design high on public and policy agendas worldwide. 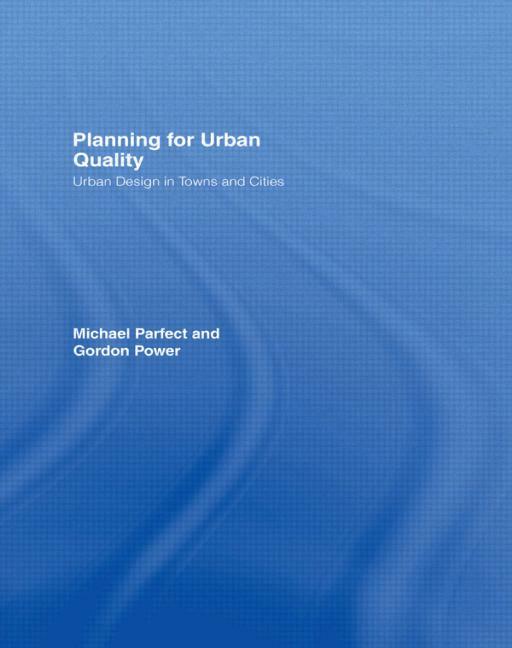 Planning for Urban Quality examines the achievement of quality in the urban environment, in a planning context. Tracing urban design from its roots, the authors draw on both historical and current practices to examine the key physical, political and economic forces at play and the social pressures and impacts brought about by both failures and achievements in urban design. This highly illustrated critique of towns and cities draws on examples from across Western Europe, South Africa and USA to examine both public and private sector development practices, controls and fiscal policies within a diverse range of localities. The authors indicate the need for a reinstitution of region-provincial approaches, for closer co-ordination bewteen sectors, and revised fiscal policies in planning and development in order to enhance the quality of urban social experience and environments. Providing a deeper understanding of the many diverse strands of Urban Quality, the authors provide a firm basis from which to analyse urban planning achievements and to assess the relevance and value of urban scapes.